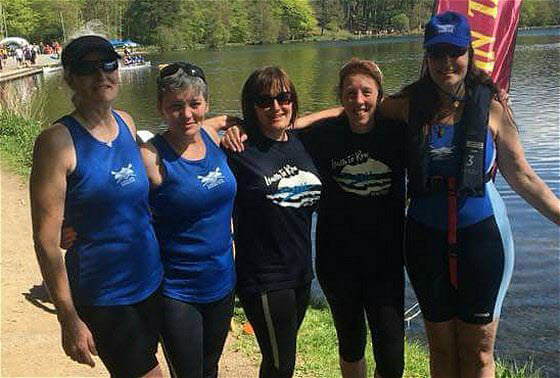 The third round of the 2018 Northern Region Explore Series was at Talkin Tarn on 6 May. The event was Sculling Splash and Dash. Next up is Tees on 3 June, which is Sculling Skills. The results matrix is below - click on the image for a larger jpg or here for a pdf. Beautiful weather and water conditions. Roll on TT Regatta! Some pics here soon or try www.facebook.com/northernrowing. Joint winners on the day in the open league were TT Maxx from Talkin Tarn and Tynemouth Buoys with 7 points each. 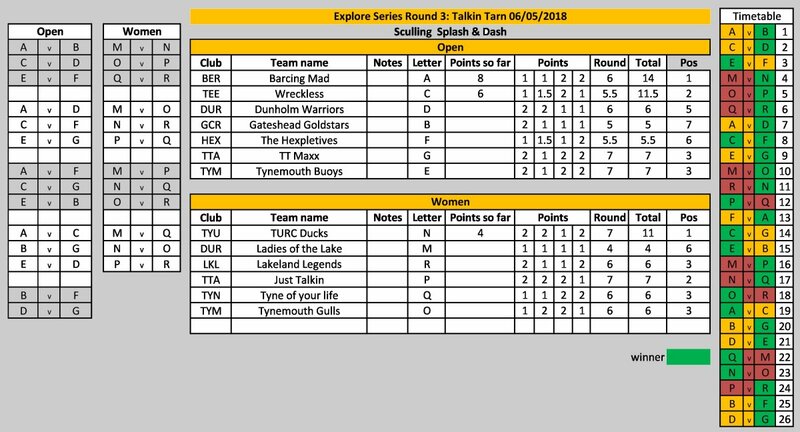 In the women's league TURC Ducks and Just Talkin shared first place with 7 points. Remember 2 points for a win, 1 for just racing, 1.5 for a dead heat (tere was a dead heat between Wreckless and The Hexpletives). Overall leaders in the open league are Barcing Mad on 14. Leaders in the women's league are TURC Ducks on 11. Thanks to Talkin Tarn ARC for organisation and hospitality and to Hexham RC for boat loan.